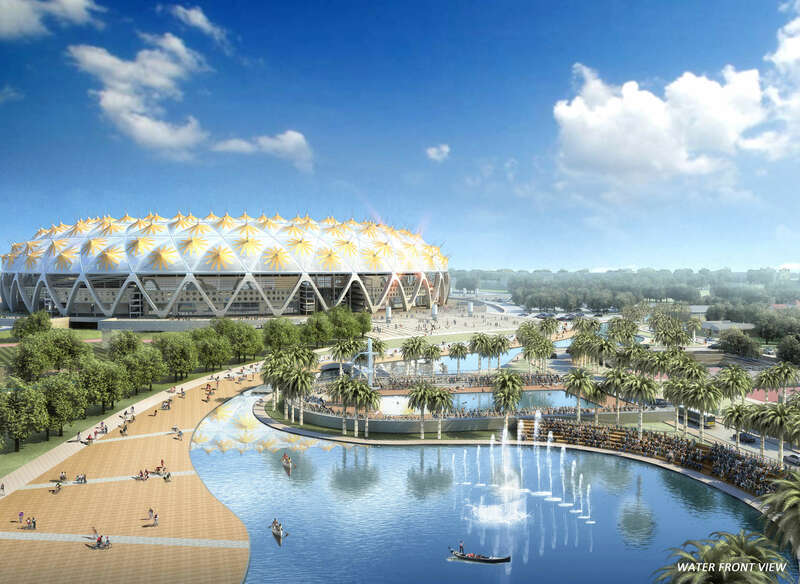 The concept of national stadium for Ethiopia was part of an international competition in 2012. 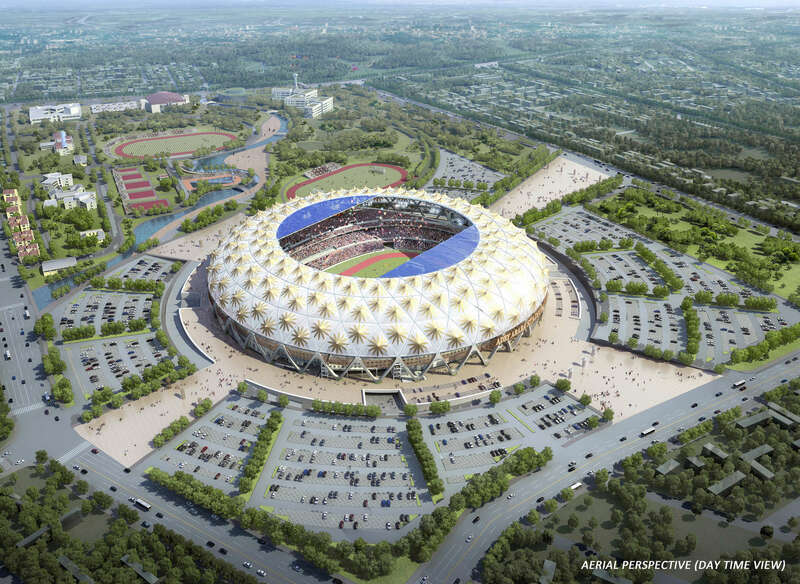 The sports-leisure hub of Addis Ababa is to be built on a vast, mostly unused square of 67ha in eastern part of the city. 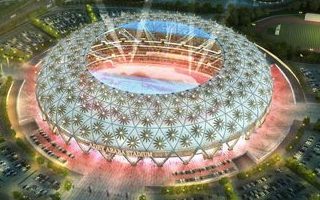 Most of the terrain will be taken by the primary stadium and its parking infrastructure for 10,000 cars, together consuming 37ha. The remainder will be used to provide football, volleyball and basketball fields, together with a swimming pool and smaller facilities. 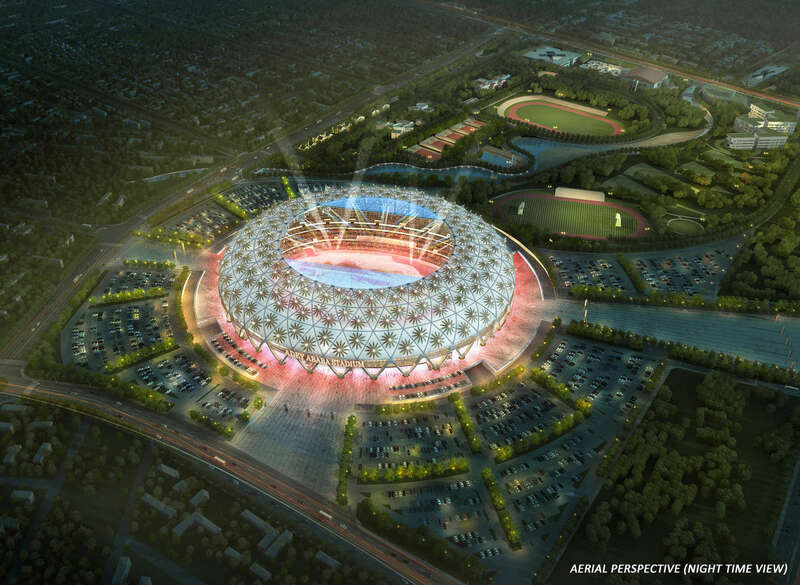 The stadium for 60,000 fans will be covered by a distinctive dome. 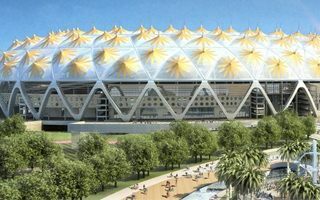 With a dynamic steel structure, the roof will be covered in decorated tensile membrane panels. All facilities are to meet FIFA and IAAF requirements. 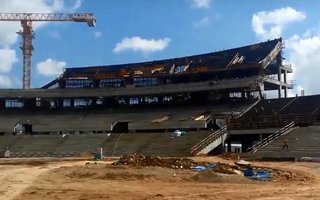 The stadium was to see groundbreaking in 2015 but it was postponed until Feb, 2016. Delivery thus slipped from 2017 to 2018 at the soonest. After a failed cover-up effort the Addis Standard has confirmed that 7 workers were killed in a blast and resulting fire, while 12 further have been injured. One more case of how Chinese contractors mistreat local workforce during African projects. 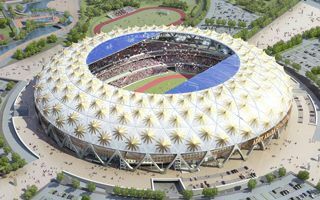 Yesterday central authorities finally signed the long-anticipated deal for new national stadium in Ethiopia. Chinese contractors should begin work soon. 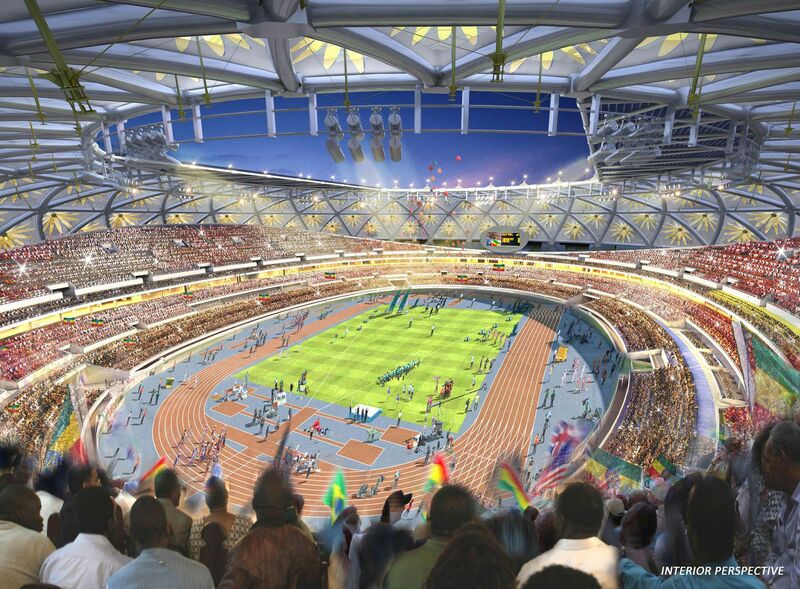 After prolonging delays finally tender process for the new 60,000-capacity stadium is to begin in Addis Ababa. Report by EthioSports.com.